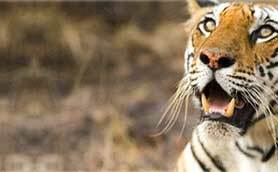 An erstwhile hunting ground of Maharajas of Mayurbhanj, the Simlipal National Park in Orissa is one of the best national parks and tiger reserves of India. Sprawling over an area of 2,750 sq km, this park occupies beautiful terrains composed of twelve rivers and innumerable waterfalls and dense Sal forests. 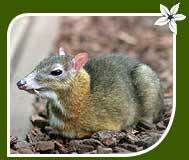 The park provides home to a large variety of animals and birds. An unbelievable fact about the park is it also houses the native Santhal tribes of Orissa in the premises of the park who reside there in complete harmony with other animals. This park offers a rich flora formed by dense forests and streams and waterfalls. The major portion of the park covered with mixed vegetation of Northern tropical semi-evergreen forests, Northern tropical moist deciduous forests, dry deciduous hill forests and high-level Sal forests. There have been recorded around 501 plant species belonging to 102 families. Out of them, 82 species of orchids are the major floral attractions. Tiger is the main attraction of the park. 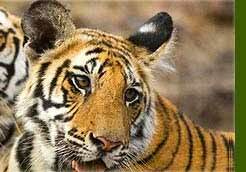 According to park authorities, there are 100 tigers and leopard in large number. 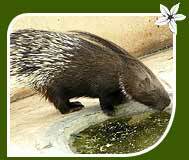 Other animals found in the park are sambhars, langurs, barking and spotted deer, chitals, chevrotains, wild dog, wild boar, sloth bears, monkeys, hyenas, porcupines, gaur, elephant and the 'four-horned' antelope. The reptile population in the park includes snakes, turtles, crocodiles etc. Plenty of water sources in the park has attracted a large variety of birds. According to official records, there are 230 bird species, which birds like red jungle fowl, alexandrine parakeet, crested serpent eagle, grey hornbill, indian pied hornbill, malabar pied hornbill, indian trogon hill mynah, peafowl etc. If you are interested to watch scene like pre-communal age, visit the park with the guide. You will find here Santhal tribes living in harmony with dangerous animals. But never think to hurt them. 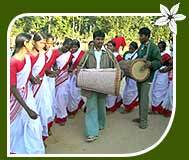 The tribal people in the forests celebrate feast and dance during January. If you are interested to attend, ask your tour operator to make prior notification to park authorities. Tiger, goat and other species all come to the rivers and waterfalls to quench their thirst. Be there to photograph them in very natural pose. The Simlipal National is located in Mayurbhanj district in the Indian state of Orissa. It is well connected with all major cities of India by N.H. 5 and N.H. 6 which meet at Baripada (17 km ). The nearest airport is in Kolkata, West Bengal ( 240 km) and Bhubaneswar (270 km) and both offer regular service to Delhi and other cities of India. Nearest town Baripada is the main railhead and your entry point to the park. A fine range of hotels is available at Chahala which is located 85 km from Baripada. As far as accommodation and dining facilities in the park are concerned, it is of average level. There are some bungalows available at Barehapani, Newana, Joranda, Joshipur and Gudgudia, they are managed by the forest department.